It has been a long time since I have painted a British unit. I have had the Gordon Highlanders sitting on the side table for 2-3 years, I suppose that is what happens when a unit wears kilts. 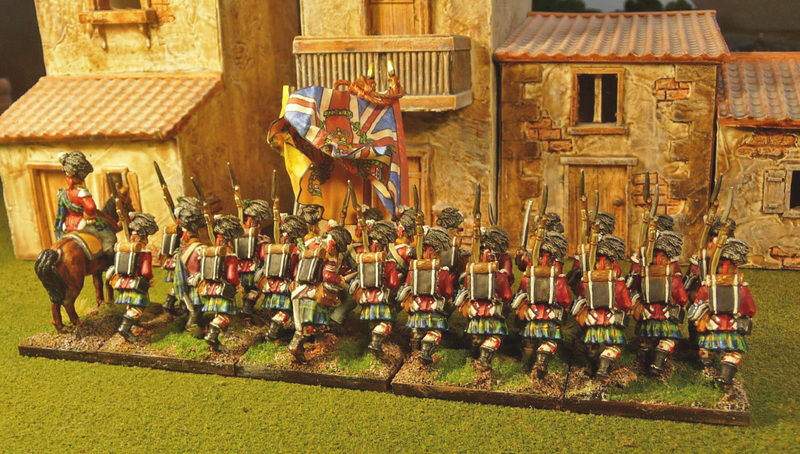 I usually take the opportunity that arises with an upcoming game, to push myself to paint a battalion or regiment that I can add to the Order of Battle. The recent British re-organisation lead to a re-assessment of the units that I slowly need to add to my British Army. I am trying to stick to my initial plan of completing the First, Third and Light Divisions of the Anglo-Portuguese Army as it was in the summer of 1811. My order of preference of painting these units were those that were also at Waterloo get painted first. Clearly I had to get one of the two remaining Highland units painted. So the 92nd it was. 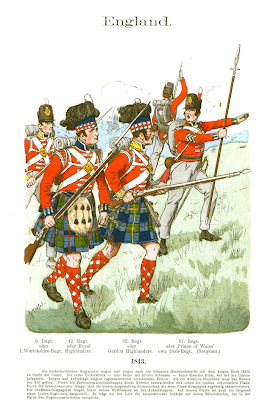 This battalion was in the 1st Division in 1811 and in the 5th Brigade of the 5th Division in the British Reserve at Waterloo. This will be the second last kilted unit I will paint. Thank god, I say. 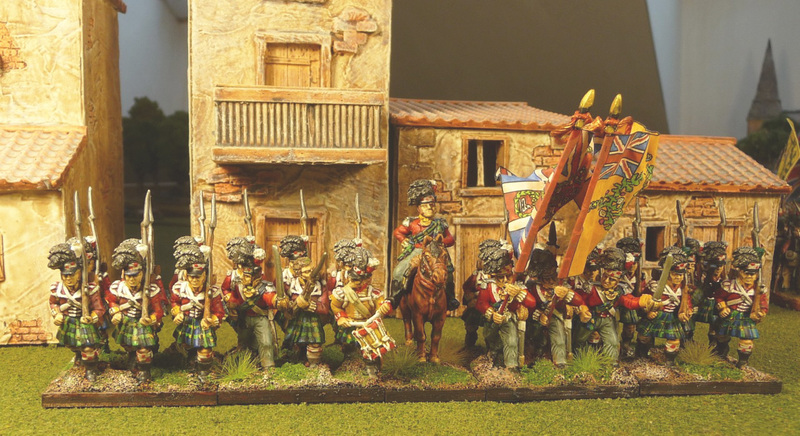 I painted the 79th Cameron Highlanders about 5 years ago, fortunately I have learned to paint a little better since then. They really look awful. I have of course reserved the Black Watch for my final unit. Let's hope I can do them justice when I get to them. I am still not an expert kilt painter of course but they look good for gaming standard. Least all the colours are there. Still need to working on hat band dicing. The final unit in my 1st Hanoverian Brigade got sprayed yesterday. So they are up next. What buildings are those in the background? They are very nice. Thanks Curt, pretty sure they were a set from Brigade Games. Nice work indeed; it's been 30 years plus since I last attempted a kilted unit; I think the tartan looks great! Hope you have fun with the Field of Battle Penisular game this weekend, John! You've made a good job of them. Bring on the Black Watch. I think you made a damned good job on the kilts John, its not an easy thing to paint and so time consuming to boot! Only just found these - they look fantastic, hope to see more pics soon!